Doctors and patients in Uganda leading the world in defining important fungal complication of TB. 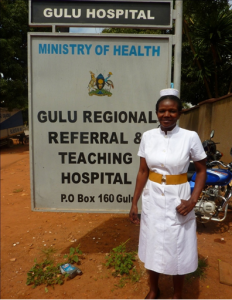 GULU, UGANDA, March 19, 2019 /EINPresswire.com/ -- Around 1 in 15 people affected by tuberculosis are likely get the treatable fungal infection aspergillosis according to new research by experts at The University of Manchester and Gulu Referral Hospital, Uganda. The new knowledge could influence TB programs by helping doctors to identify – and treat – at risk patients. Professor David Denning from The University of Manchester and Chief Executive of the Global Action Fund for Fungal Infections (GAFFI), said: “These results have global implications for TB programs – simple antibody testing and chest X-rays can diagnose chronic fungal infection after TB. The research published today in the prestigious European Respiratory Journal, also found this complication in those with and without HIV infection. The study was supported by the Gulu-Manchester link at Wythenshawe Hospital (Manchester University NHS Foundation Trust) and several donors including the NHS National Aspergillosis Centre and Astellas Pharma as well as by donations of antibody kits from Siemens. Click here to access the full paper. Sister Emily in charge of the children’s ward at Gulu Referral Hospital.